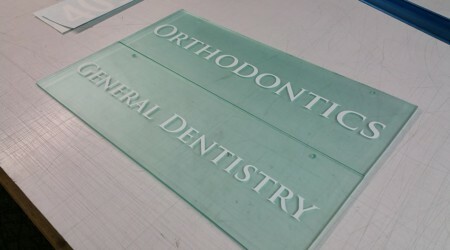 These directional signage was made to hang inside the lobby of My Dentist. 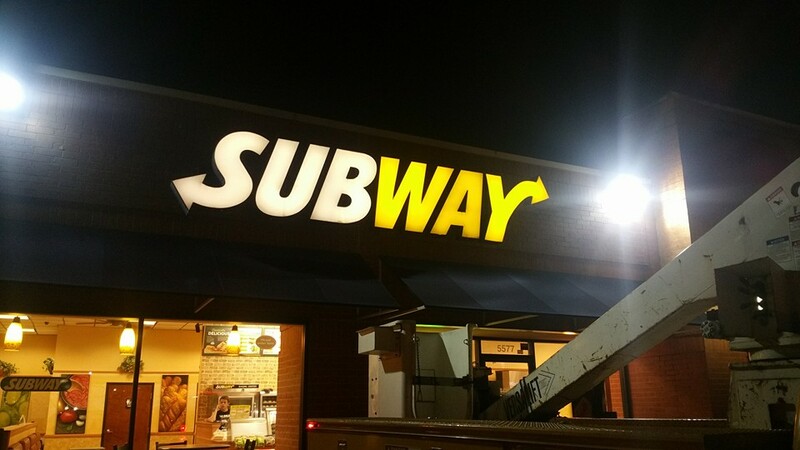 Blue Diamond Signs not only build signs, we also service and repair local and national chains signage across Oklahoma. 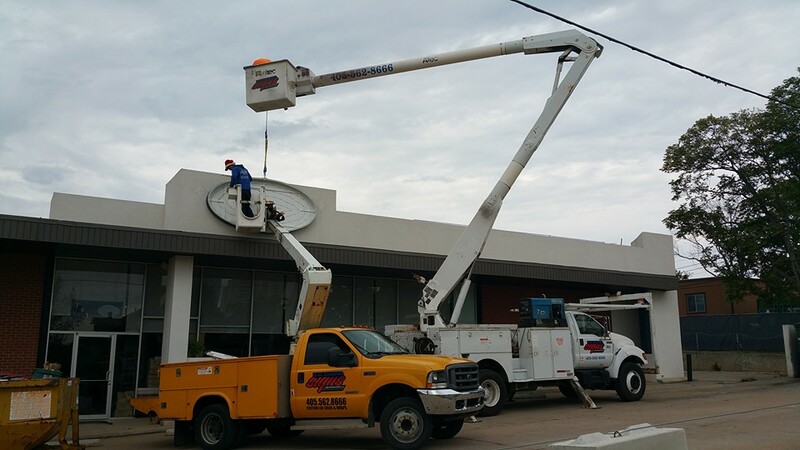 From cracked faces, dead power power supplies and led modules or just faulty wiring, we can help you get your business back online in no time. 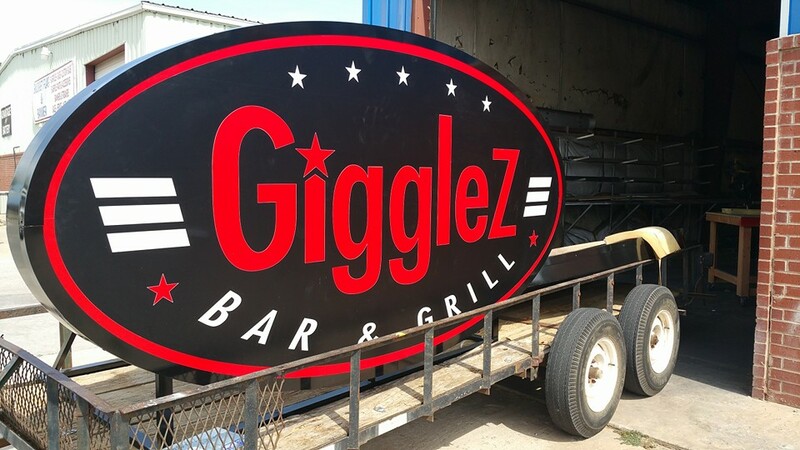 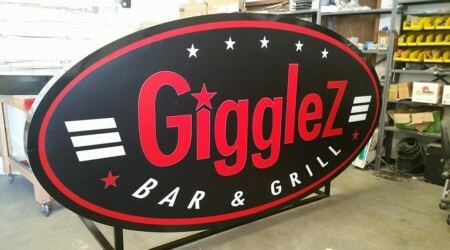 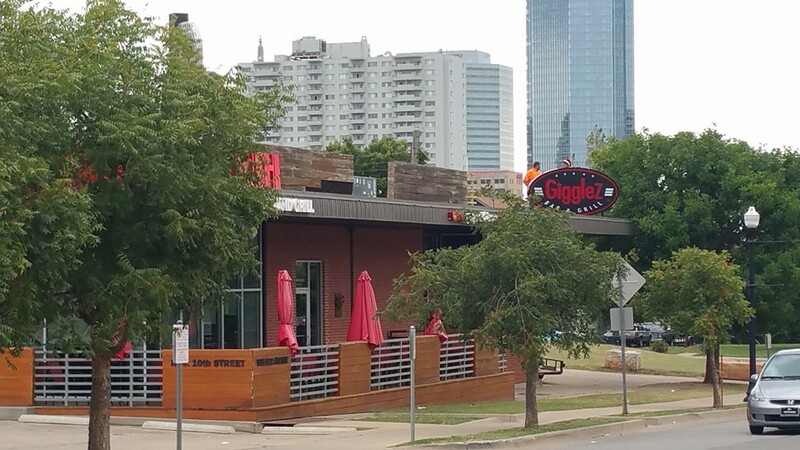 Downtown District welcomes Gigglez Bar & Grill Restaurant to its addition. 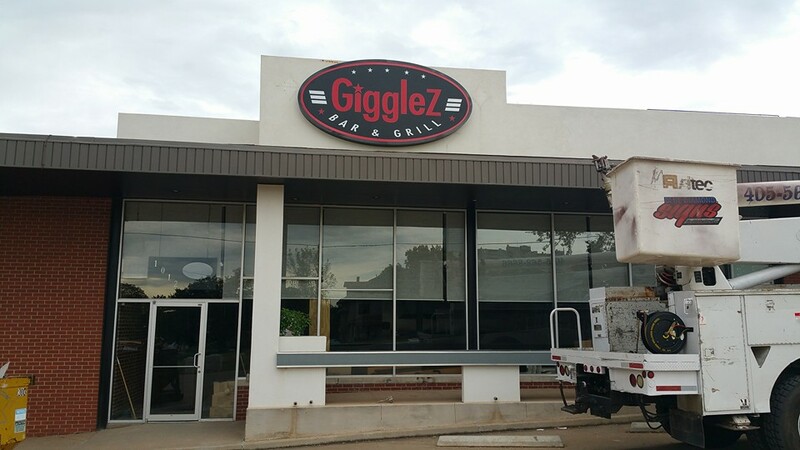 Located next door to GoGo Sushi, Gigglez Bar & Grill serves American Classic dish with an Asian flare. 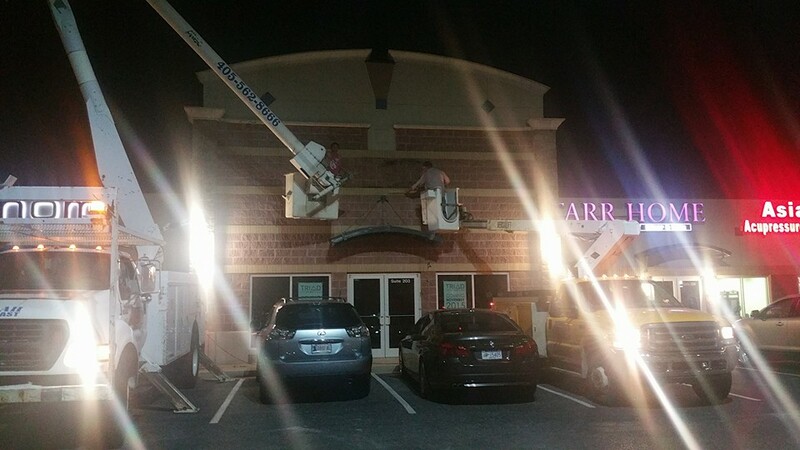 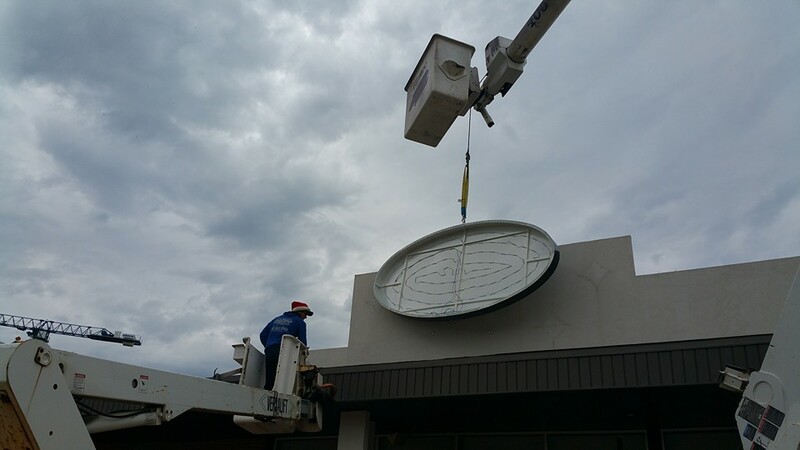 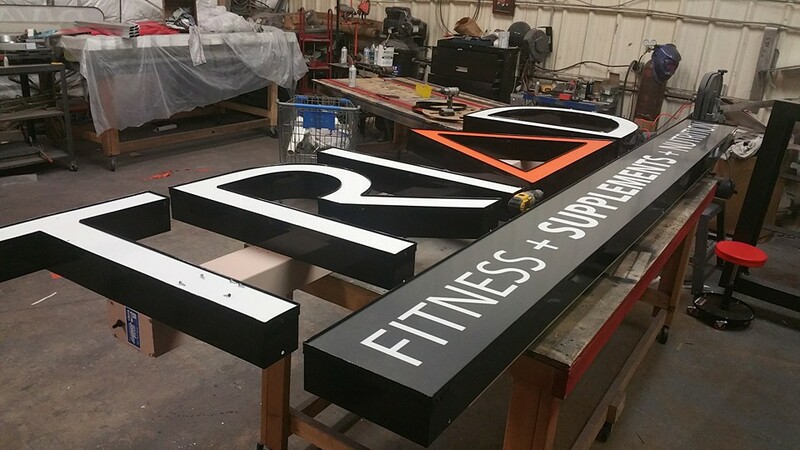 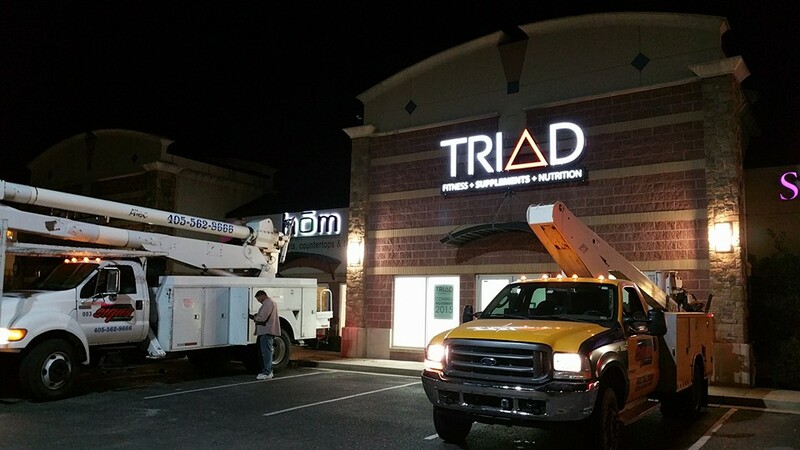 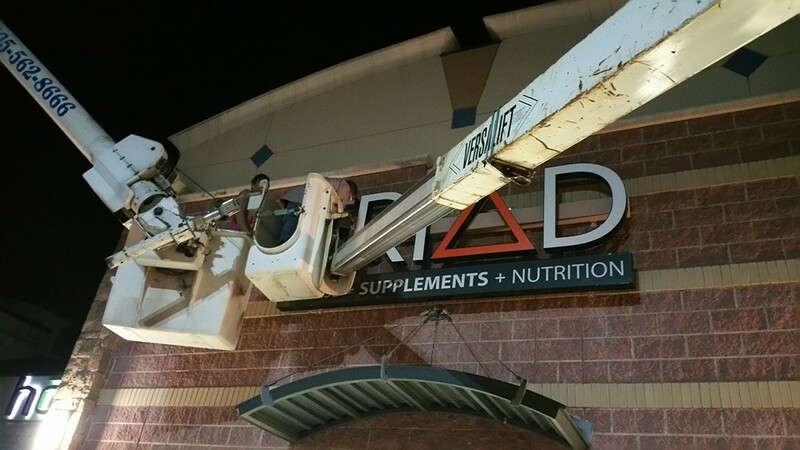 Custom built led channel letters for Triad Fitness Center located off N. May and Memorial by Quails Springs Mall.